Early in Meelis Friedenthal’s novel The Willow King, protagonist Laurentius muses to himself: “Human life is fragile, after all. It endures within the body’s confines like a thing of wonder, like birds held aloft in the sky, like the stars suspended in the superlunary ethereal sphere.” There is so much to love and wonder at in this book that it is easy to overlook the delicacy with which it lays out an intellectual history. 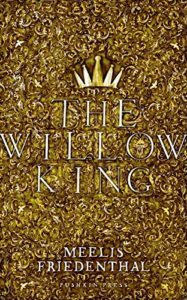 The Willow King follows Laurentius, a Swedish student at the end of the seventeenth century who has traveled to the Estonian city of Dorpat (modern-day Tartu) to matriculate at the university. Dorpat is a city in which lofty spiritual goals exist side by side with hard physical reality. It is a haven for the “muses,” a destination for poetry and learning and that newest of musical forms, opera despite precarious material circumstances: Laurentius’ new classmates are debating the latest theories of Descartes even as the city and surrounding countryside are in the midst of a crushing famine. Belief in witchcraft is alive and well, and denunciations on the part of neighbors and even family members are common. Dorpat and Laurentius are, in fact, comrades in their afflictions. Laurentius too aspires towards an intellectual existence, and yet suffers from melancholy, the famous variant of depression caused by an excess of black bile. These various details could, in the hands of a less skilled writer, be deployed into a pedestrian historical novel, the kind that attempts to demonstrate the novelty of the past, and what it must have been like for those who lived at the time. This strategy is naturally a dead-end, for all that it succeeds in demonstrating is to what extent the past is foreign to us who live in the present. The Willow King accomplishes a feat one might have thought nearly impossible: to make the thought of someone who lived during this particular moment in the seventeenth century not only comprehensible, but familiar, even second nature. Laurentius has a clear goal upon arriving in Dorpat. Like his teachers and fellow students, he wants to settle the question of the body-soul relationship, whether the soul is encased in a particular part of the body, or whether it simply occupies the body more or less generally. But unlike his cohort, Laurentius is an Aristotelian, an unpopular position to take after Descartes has proposed the pineal gland within the brain as the physical location of the soul. The idea that the soul and mind are somehow imprisoned within the body is a recurring theme, one that will impel Laurentius on a dreamlike, fumbling journey. He believes that the soul is not physically anchored, but rather coinhabits the body for a time, like the breath that momentarily fills our lungs. But Laurentius is not entirely sure of his belief. He has traveled to Dorpat from Holland in the company of his beloved parakeet Clodia, a dazzling bird not long for this new, cold, and wet world. Yet Clodia returns in a matter of speaking in the beautiful guise of a young maiden, also named Clodia, who feeds Laurentius with bread and honeycomb, a variant of the gold that alchemists and physicians believed could cure melancholy and other imbalances of the humors. Whether Clodia is real or a dream, alive or a ghost, is unresolved. We need only know that Laurentius himself does not and cannot know the nature of reality. His is an awareness that slips seamlessly between waking and sleeping, past and present, and even between himself and other subjectivities. The seventeenth century was, after all, what we tend to think of as the beginning of “modernity,” and while textbooks can give banal examples of that sense of transition, Laurentius shows us what it was like to think the often-conflicting ideas of his day. Where had he been all that time? That which has no substance is impossible to conceive, because words can never capture it. Did I have consciousness? Am I my consciousness? Do we possess it, or do we embody it? No, Laurentius told himself. He must not allow himself to get bogged down in those kinds of thoughts: they would exert his brain, use up his energy, cause his body to release its warmth, out through his scalp into the chill of the room. Such questions do not remain theoretical. In his quest for certainty, Laurentius walks the streets of Dorpat, meets eminent professors and shifty innkeepers, and attends one of the first opera performances in Dorpat. He attends an ill-fated public autopsy, is nearly attacked by a starving peasant, and leaves the relative safety of the city walls to search for willow bark, which he fashions into a tincture to treat his melancholy. At no point in this peripatetic fever does fact as such congeal. The only recurring truth is the presence of the shadowy Willow King, a spectral form that dogs both Laurentius and those around him. Dream-like interludes intersperse the book, and while these might have accumulated into some climactic revelation, Friedenthal withholds the satisfaction of some easy resolution. Laurentius’ day was not an era for certain conclusions, but rather for tectonic clashes between diametrically opposed modes of thought. Friedenthal makes us live in the skin of someone suffering from melancholy, and the first thing we learn from this experience is that melancholy is not just the old-fashioned term for depression. Its symptoms ranged from the emotional to physical, and its causes were believed to derive from physiological or spiritual deficits or surfeits. Given that it has become conventional wisdom today to reduce depression to a chemical imbalance in the brain, it is strangely comforting to see another era’s difficulties in diagnosing a problem hardly less understood then than now. Indeed, the seventeenth and twenty-first centuries share more than a few qualities. Although we tend to talk about the European Renaissance that began in the fourteenth century as the dawn of humanism and scientific thought, the boons of secularism were slow to extend beyond the privileged few. The seventeenth century, with its religious wars and heady intellectualism, its fundamentalists and its freethinkers, was when the Renaissance really began to sink in, all the while wrestling with deep-seated dogma and superstition. To realize how close Laurentius, and his era, were to our own modern era, we need only pause to reflect that Laurentius’ prized willow bark, assumed by some villagers to be a tool for witchcraft, was the antecedent for aspirin. 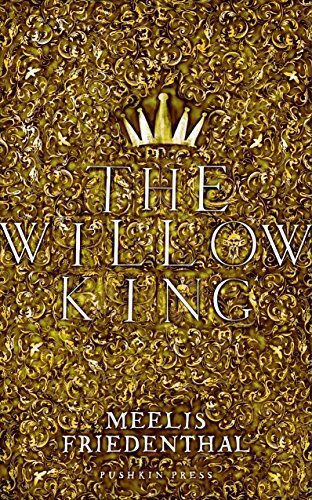 With our own era’s debates on science, truth, and the merit of religion, The Willow King makes us appreciate how much, and how little, have changed in the intervening three hundred years.